Notice: The following images were colored and clipped by Cartoon-clipart.co. They are meant strictly for non-profit use. Please include a source link when sharing online. Blue's Clues © Viacom International Inc., all rights reserved. 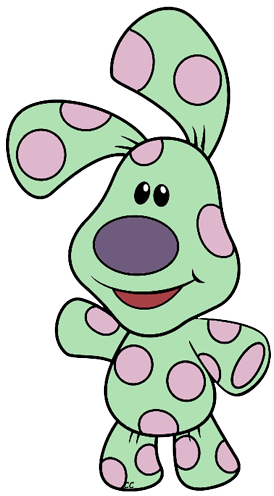 Blue's Clues is an American children's television series that premiered on September 8th 1996 on the cable television network Nickelodeon. It ran for nearly ten years, ending on August 6th 2006. This website is not endorsed by or affiliated with Viacom International Inc.